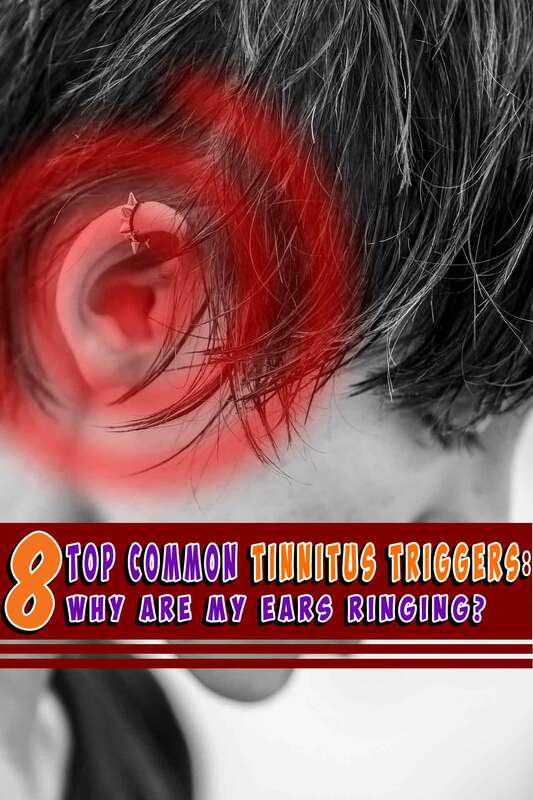 8 Common Tinnitus Triggers: Why are my ears ringing? Tinnitus triggers due to many causes; thus, making it really tricky to treat. And that’s saying a lot considering medical treatment varies with respect to different cases. For instance, it’s easy to assume that hearing aids are more likely the treatment that will be recommended in most cases. But the next question to that is— “what type of hearing aid”? Is the condition permanent? Are there no other risks? That said, before you continue learning the treatment options, it’s best to discover the possible reasons your ears are ringing. Tinnitus can have many possible causes. Firstly, you should learn how hearing works. This will give you the right facts, and the right pieces to the puzzling question, what causes this ringing in my ears? And ultimately, if you know how hearing works, and what are the different tinnitus triggers, you will definitely know how to keep it from occurring. Hence, prevention. Our body is an ingenious piece of art crafted by exemplary engineering. To protect our ears, there’s a “trap” mechanism in our ear’s entry to block dirt a.k.a the earwax. And ideally, our own physiology should get rid of the build-up. But in the event of failing to do so, a doctor can clean them gently. Doing it on your own may just push them deeper inwards making them difficult to clean. If they build to a point of blocking our hearing, that’s the time when we start to notice hearing failures such as tinnitus or worse—deafness. This can be a collective item for most of the things that cause blood pressure issues. These things include but is not limited to stress, caffeine, alcohol, and etc. The hardening of the arteries can also be another thing that can trigger ringing in the ears. Because this makes the blood vessels near your ears less flexible, making the blood pressure increase and it can become too loud for your ears. Loud noise is one of the most common tinnitus triggers. It can be a very loud noise that you’ve heard once or the noise that you deal with every day. Especially if noise is part of your daily work. This is crucial because it may progress to deafness on either or both side of the ears. And the damage can be more often permanent. Sometimes it’s very tempting to use over the counter drugs. Especially when it is highly recommended by peers, family and colleagues. It’s also common knowledge that many drugs need a prescription, but it’s just as easy to ignore that especially when we rely on medication too much. The big problem is, among the many other risks, it is wise to know certain medications can cause ringing in the ears. And with increased use of these medications, the greater the risk. Issues on the temporomandibular joint or in simpler terms our jaw are one of the many tinnitus triggers. This may cause a popping sound either with pain or not as you talk or chew. Your jaw shares several nerves and ligaments with your middle ear. A dentist can deal with this, and help ease the ringing sensation for this case. Apparently, our body is not immune to wear and tear. Just as our other senses, aging may take its toll on the quality of our hearing too. Typically, it starts at the age of 60 if not earlier. And the ringing sound is just one of the many auditory issues that may occur. Aside from the ones above, there are plenty more tinnitus triggers that are associated with many other medical issues. In some cases, the ringing sensation in our ears is just a symptom, sometimes other medical issues stimulate it. Either way, proactive consultation is ideal. So, issues will be isolated and so you can get the right treatment. Prevention is better than cure. And since there is no cure for tinnitus, it’s important to treat and protect your ears accordingly. Furthermore, any complications, risks, possible associated health issues will all be isolated before it gets worse. Finding the right audiology clinic to help you out is vital. Hesitations and doubts are two normal emotions for anyone concerned. But the right knowledge -although does not really reassure enough—should point you in the right direction. And we can give you the right education on the matter. Check out our websites for more insightful information, or better yet, reach out to us.